There's Malaga city and Malaga province, so when booking a small, luxury hotel in rural Malaga you can be sure it's not in the city. But only 35 minutes or so drive from the airport into rural countryside, mountains and olive groves you'll find an enchanting small, luxurious, owner- run hotel that you might just want to stay in forever. There’s Malaga city and Malaga province, so when booking a small, luxury hotel in rural Malaga you can be sure it’s not in the city. But only 35 minutes or so drive from the airport into rural countryside, mountains and olive groves you’ll find an enchanting small, luxurious, owner- run hotel that you might just want to stay in forever. Hubby and I visited on a rather wild and windy February weekend. We loved the location, decor, roaring log fire, dinner and Airedale dogs. Our trip was to check out the lovely-looking Cortijo Sabila for addition to our Only Spain ~ Boutique Hotel portfolio of gorgeous little places to stay in our adopted homeland of Spain. How did we find it? After a little detour, I was driving hubby map reading (or phone reading) without glasses and not being able to check signs, follow the map and communicate with me at the same time (know this one ladies?) we missed it the first time around. But no worries, we got there, approached the rather grand entrance rang the bell and open sesame the gates withdrew. We entered the grounds and gardens of Cortijo Sabila and found it very much to our liking. The day, a little dismal, was brightened by our new furry-friend-doormen who ushered us to the gorgeous wooden door (if you read my Andalucia Explorer blog you’ll know I love wood) which was opened, and we were welcomed, by the friendly owner and our host Yvonne. After seeing several of the lovely, uniquely decorated and laid out rooms we chose the upstairs room with cute terrace and windows on two sides. Brimming with lovely furnishings, tons of details and unique antiques we grabbed our cameras and took lots of photos before our bags were unpacked and things generally became less photogenic. The plush purple towels and lovely large wet-room bathroom with his n’hers sink and again lots of lovely touches including big refillable toiletries which the recycling-green-me loves to see and avoids the necessity of taking home semi-used small ones. 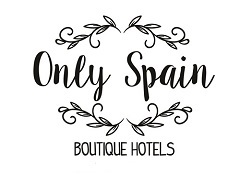 See small, luxury Cortijo Sabila on Only Spain Boutique Hotels. Disclaimer: As the weather wasn’t good and our trip was in February some of photos are ours and some (it’s obvious which) the courtesy of our hosts Yvonne and Ray and are on their Cortijo Sabila website.